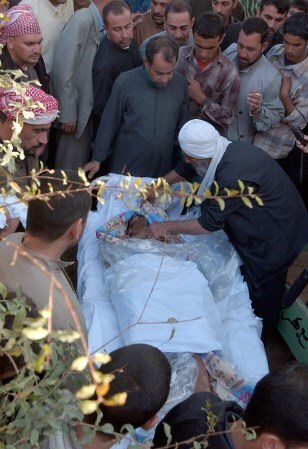 People gather at the coffin of Watheq Abdula, in Baqouba, Iraq, in this Nov. 17 photo. According to relatives, Abula was arrested Nov. 13 by Interior Ministry special forces, and his body was found Nov. 16 in Baqouba. Amnesty International warned a government probe may show a pattern of abuse of prisoners by the Iraqi government.